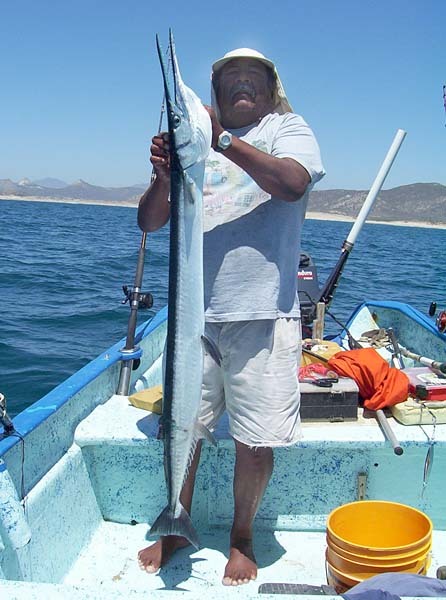 This is what I like to call a big fish. 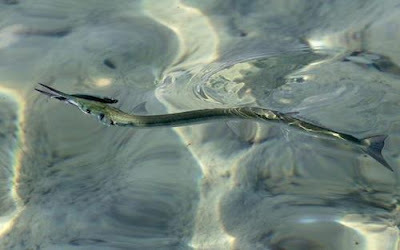 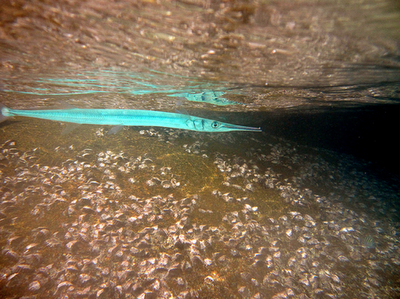 Crocodile Needlefish (Tylosurus crocodilus), or Houndfish as they are also called, are able to reach lengths of up to five feet. They lack spines but that doesn’t mean they won’t put up a hell of a fight when game fisherman are on their tail (hah!). 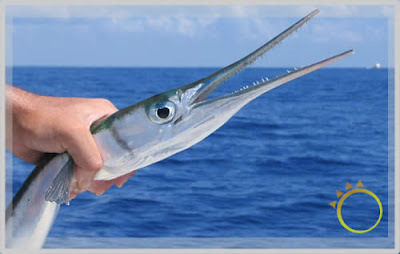 Houndfish are considered somewhat dangerous and are feared by fishermen because of their size and tendency to leap out of the water, causing puncture wounds with their beaks, when frightened or attracted to the very lights used to catch them. 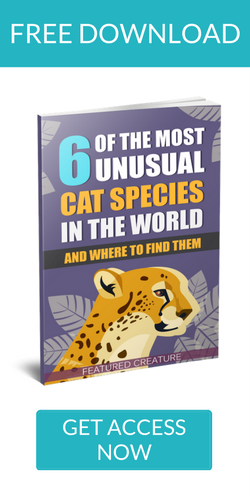 While they are apparently quite tasty to eat, you won’t typically find them on the menu because their meat takes on a rather off-putting greenish color. 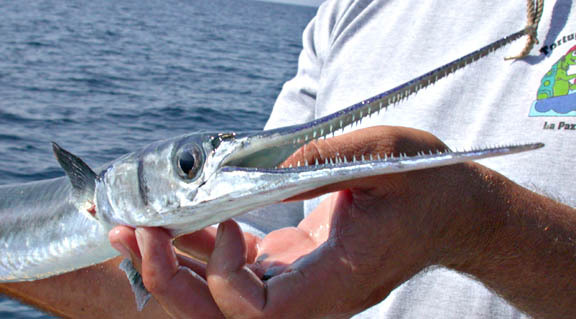 Guess green houndfish and eggs would only be appealing to Dr. Seuss. 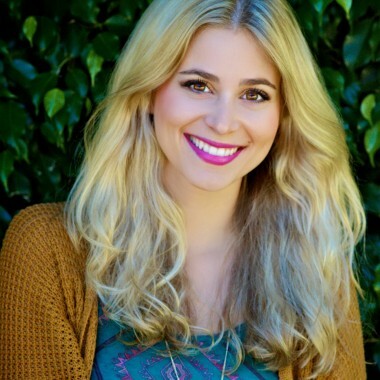 PreviousUpdate: Ziggy is Healed Because of YOU! 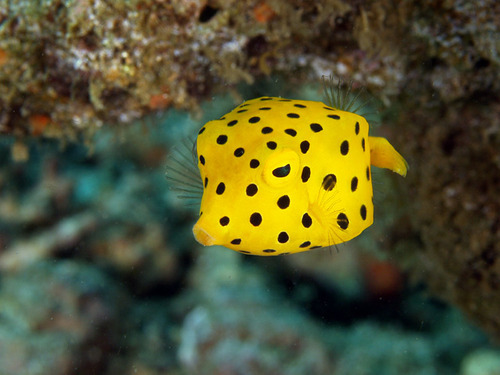 Yellow Boxfish: Who Knew Cubes Could Be So Cute?